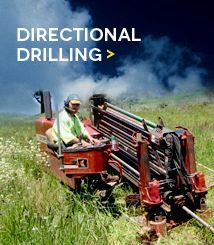 Cogar has developed strong and long-lasting working relationships with several high profile and multi-national telecommunications companies due to their continued ability to handle all aspects of even the largest optic fibre cable hauling and horizontal directional drilling projects. Cogar places a high importance on maintaining these relationships and achieving project completion to a high standard is the best way to accomplish this. 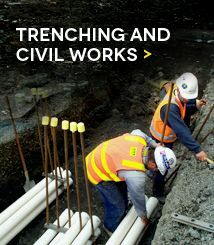 Cogar is one of the companies working on the Federal Government’s National Broadband Network scheme. 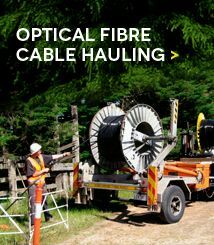 This project sees optic fibre cable hauling to every home and commercial premise in Australia. 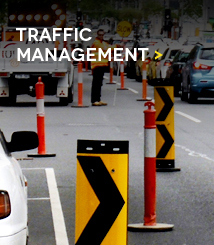 Cogar has been conducting optic fibre cable hauling, and site management for this project in many areas in Melbourne, including densely populated inner city suburbs of Brunswick and Carlton. Cogar was involved with the government ‘Smart Schools’ initiative managed by Silcar Pty Ltd, which was a Siemens/Theiss joint venture. This project upgraded cabling to over 1500 schools in Melbourne and throughout Victoria to provide increased Internet speeds for students. 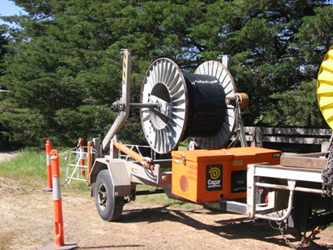 To find out more about Cogar’s cable installation services and capabilities, or to speak with a member of our about an upcoming project, please contact our Melbourne office on 03 9761 5333 or online.